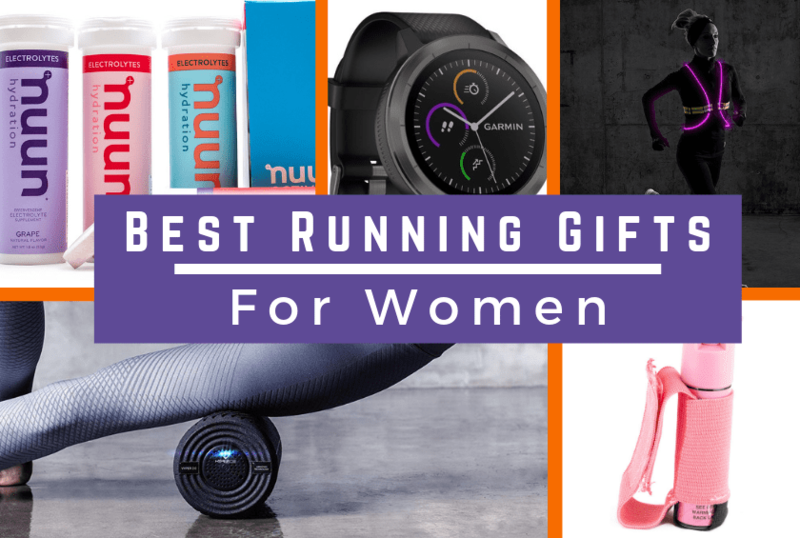 Are you trying to chase down a great gift for a woman in your life who loves to run? Whether she’s relatively new to the sport or an experienced ultra-marathoner, finding the perfect present is probably easier than you think. Running gear doesn’t start and end with shoes. You can find a huge selection of clothing, food, tech, and other accessories. Not only will many of these items improve performance, but they can also help reduce the risk of injury and accident. Don’t worry if you’re not very familiar with running gear. We’ve got the complete rundown on the best running gifts for 2019. On your mark, get set, shop! When it’s time to go for a run, this is the watch the runner in your life will want to wear. 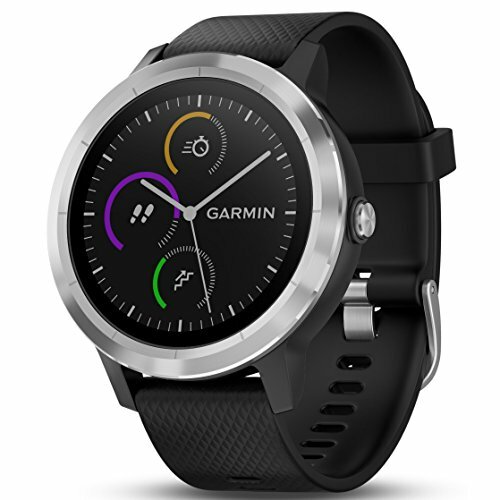 The vivoactive 3 from Garmin is a smartwatch loaded with features for runners, swimmers and other active fitness fanatics. Over 15 pre-loaded apps monitor heart rate, running speed, location, distance traveled and more. GPS technology tracks fitness progress no matter where a running route takes you. The watch is made from a fiber-reinforced polymer with a stainless-steel rear cover. Lightweight but scratch and water resistant, it can take a licking and keep on ticking. Are you looking for a specific app, widget or program? 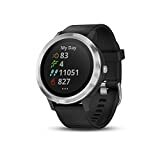 You’ll likely find it among the thousands of options available for free at Garmin’s Connect IQ virtual store. Plus, you can easily connect the watch to your smartphone. This feature allows you to upload stats to both Garmin Connect and LiveTrack automatically (as well as other popular services such as Strava). You can easily track your daily performance for training purposes. The rechargeable battery lasts up to seven days when in conventional smartwatch mode. In GPS mode, the battery has enough power for up to 13 hours, which allows you to know where you are even when going for a long run in unfamiliar territory. Runners–especially distance runners–often need a quick source of energy. But energy drinks are loaded with chemicals and artificial ingredients. Plus, the energy boost from most energy drinks is often short-lived and results in a crash just a few hours later. Nuun Energy Hydration Tabs are different. 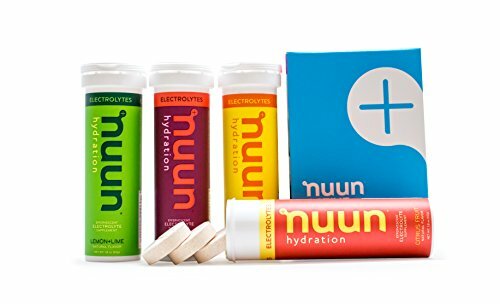 Specially formulated for runners, they provide energy and hydration that is both fast-acting and long-lasting. A pack contains six tubes, which each contain 10 tabs. Simply drop a tab into 16 ounces of water to create a flavored drink. Three tasty flavors are available: Wild Berry, Lemon/Lime, and Cherry Lime. Each tab infuses water with Vitamin B and Caffeine. Vitamin B helps improve nervous system function, reduce joint pain and more. Caffeine gives you a quick boost of physical stamina and mental alertness. Unlike a typical energy drink, Nuun Energy Tabs cause no shakiness and won’t result in a sugar crash because each tab contains just one gram of sugar–significantly less than most energy drinks. 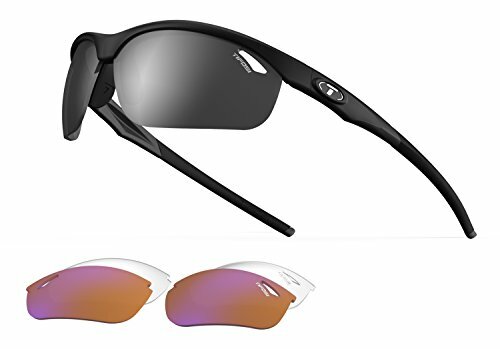 These sunglasses are designed for runners, cyclists, and other active outdoor-types. They’re durable with a secure fit and a classic style. Made from Grilamid TR-90 nylon material, they’re lightweight but tough. They won’t weigh down your ears during long runs. The Tifosi nose piece fits comfortably on any face shape. Made from hydrophilic rubber, it keeps the sunglasses secure on your face even if you’re sweating heavily. One major reason a regular pair of sunglasses isn’t a good choice for a runner is they tend to fog up quickly. But the Veloce lenses have special vents to allow for continual airflow, which prevents fogging while also keeping your face cool. The lenses are made from decentered, shatterproof polycarbonate, protecting your eyes from UV rays as well as debris. A clutch for running serves two basic purposes: carry a small amount of water for necessary hydration during runs, and provide storage for a few essentials such as keys, ID, and a gel or two. This model from Ultimate Direction is small, lightweight, and durable, designed specifically for runners out for relatively short distances. With a 0.7l/23.6 fl. oz. bottle capacity, the Clutch will help you get through easy days and hard days alike. The clutch has an AirWell Mesh strap that holds the bottle against your hand without requiring a consistent grip. Two hook and loop closures allow for easy and precise fitting. Because the clutch supports multiple hand positions, you can carry it however you like, even upside-down! It’s made from four-way stretch Nylon and elastane, which is both durable and allows for plenty of natural airflow. A mini-ripstop keeps the clutch securely closed but also allows for quick access inside. Multiple pockets provide easy organization for your car keys, ID and any other small items you want to carry with you. 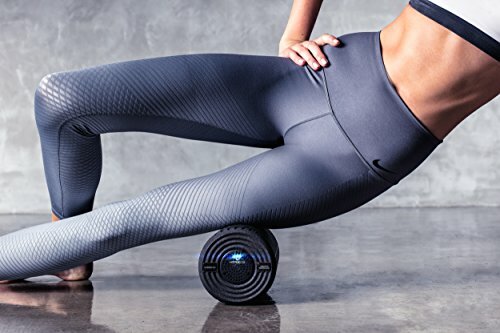 Fitness rollers are quickly becoming a must-have running accessory. As part of a recovery routine, they help soothe sore muscles, treat injuries and otherwise keep your body in great shape for running. But using a manual roller can quickly grow tiresome. 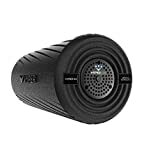 Enter the Vyper, an electric-powered roller which uses high-intensity vibrations to provide deep tissue relief. The Vyper features three adjustable vibration frequency levels: 45, 68 and 92 Hz with a respective G-Force of 6.9, 7.8 and 8.8. To put those numbers in context, this is the most powerful vibrating roller available. The roller itself has a dual-zoned exterior shell. The grooved design allows you to apply targeted pressure wherever you need. Regular use allows for up to a 40% increased range of motion compared to traditional rollers. Roller use is recommended both before and after a run. Before running, the vibrations help muscles warm and loosen. After running, the roller helps reduce soreness and tightness while promoting faster recovery. The Vyper runs on an included rechargeable lithium-ion battery. Each charge provides about two hours of operation. Unfortunately, women face a disproportionately high risk of attack while running. Carrying a firearm can be dangerous and cumbersome. Usually, the best option is to bring along a can of pepper spray, which is both effective and non-lethal. Sabre pepper spray is the number one choice of law enforcement agencies around the country, and it’s a great option for everyone else, too. 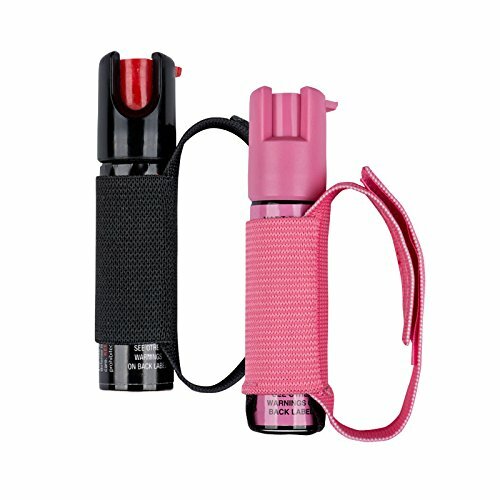 This compact, lightweight pepper spray canister easily fits onto a belt loop or into practically any backpack, or pocket. The Runner option has an elastic strap that wraps around your fingers, making it easier to carry. You can quickly spray up to 35 short bursts a distance of about 10 feet. The stream is powerful enough to stay in a straight line even with heavy wind. You don’t need to be Annie Oakley for it to be effective, either, as it creates a powerful cloud barrier. Plus, the pepper spray contains a UV marking dye which can help with suspect identification. It’s safe to carry when performing any physical activity, running or otherwise. A twist-lock safety top means it won’t accidentally be discharged due to jostling. Your purchase also includes a variety of free training videos. With just a few short lessons, you’ll feel comfortable using the spray in an emergency. Visibility plays a key role in staying safe when running. If cars can’t see you from a distance, you’re far more likely to be accidentally hit. 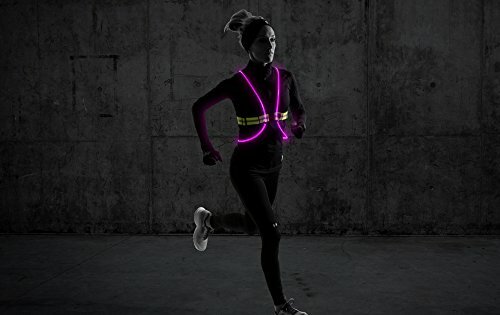 This lightweight vest from Noxgear provides plenty of options so you’ll be easy to notice, even in total darkness. Six different super-bright colors are available: red, blue, purple, pink, green and orange. Additionally, each color can be set to flash in a special pattern scientifically designed to attract the eye. Switching between modes and colors requires just the press of a button and can easily be done while moving. Unlike reflective vests and tape, the Tracer360 doesn’t require an external light source to work. Instead, the vest itself is a light source. Plus, the large X-shaped design stands out from traffic signals and other typical lights. Motorists will be able to spot you easily from up to a quarter-mile away. Made from sports mesh and elastic, the vest won’t weigh you down, and remains comfortable even after worn for a long time. There’s minimal fabric-to-body contact, so the vest won’t warm you up or chafe against your skin. Easily adjustable, the vest fits over both heavy coats and thin T-shirts. It also won’t interfere with a heart rate monitor or any other body-based tech. Headlamps are usually the easiest and most effective light source for anyone who runs in the dark. 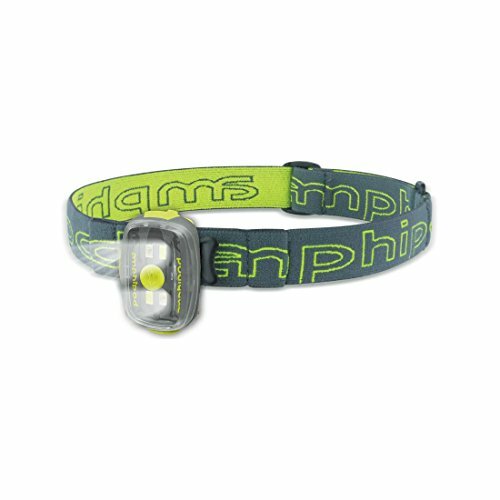 The Versa Light Plus from Amphipod features a high-intensity LED light that can switch between a solid beam and flashing mode. Light can also be switched from white to red. With 60 lumens of brightness, you won’t just be able to see the road, but everyone on the road will be able to see you, too. Using the light helps prevent car accidents, falls and other visibility-related dangers. The soft, adjustable band lets you strap the light to your head for hands-free operation. But you can also remove the lamp from the band. A clip on the back of the lamp lets you attach it to just about anything. Plus, it’s a lightweight 1.3 ounces. A rechargeable battery pack powers the light. An included micro USB charging cable lets you plug the unit into any suitable power source for a quick charge. A full battery provides about an hour and a half of solid light, or five hours of flashing light. Lousy laces on a pair of expensive running shoes is a sure-fire way to annoy a runner. Bad laces can be detrimental to proper shoes fit, and stopping to retie laces is just plain annoying. Lock Laces are a no-tie lacing system which creates a secure fit. Plus, the no-lace system means you can slip your shoes on and off quickly and easily. These elastic laces reduce compression along the top of the shoe, which helps eliminate foot pain during long runs. Additionally, the custom system can be adjusted for a snug fit. 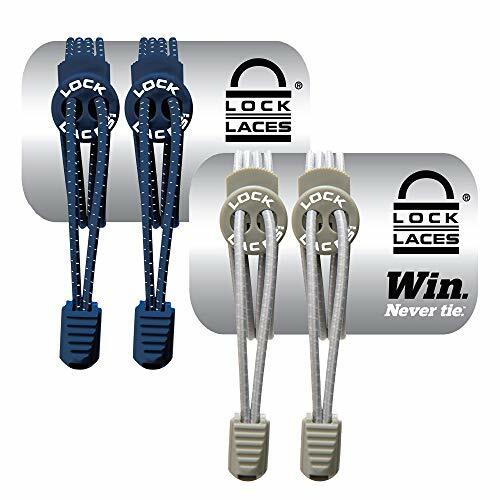 Because they eliminate the risks associated with untied laces and turn any shoe into a slip-on, Lock Laces are great for athletes, children, the elderly, and anyone with mobility issues. This lacing system does need to be installed. However, installation is usually simple. An instructional video is included.